The humble kitchen has the power to define the style of a home like no other room. But the hassle of installing permanent fixtures makes many people tend towards the conventional end of the style spectrum. This is very practical, but can get a little dull at times. 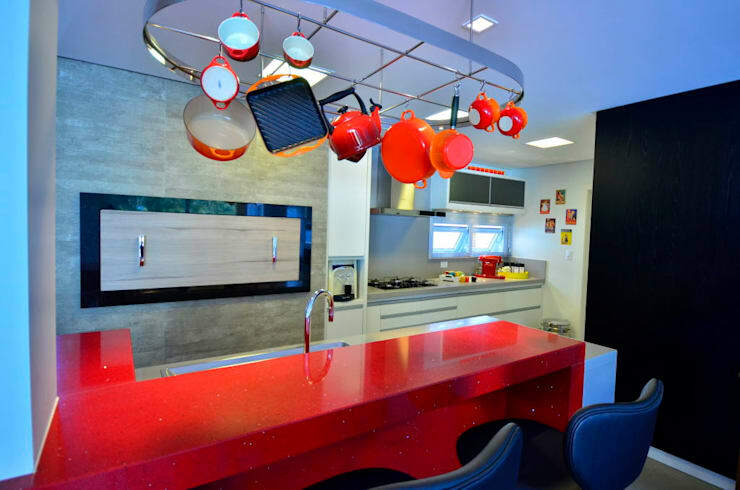 So it is all the more exciting when we come across an adventurous kitchen design with a completely unique feel. Kitchen cabinets don't always need to be fitted or permanent attachments. Look at the mobile units that make up the lower kitchen cabinet space here. This is a very flexible approach and one that epitomises the spirit of industrial decor. 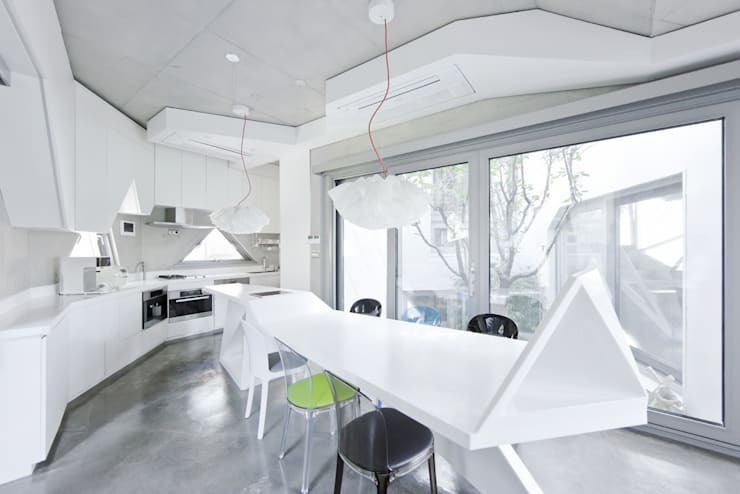 This unusual room has triangular windows and an awesome triangular kitchen island. It is part of an octagonal home designed by Korean architect Iroje Kimhyoman. 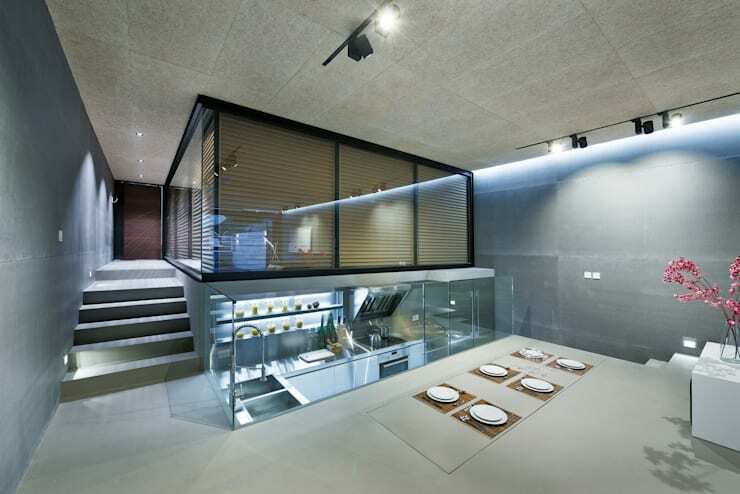 This fabulous silver kitchen by Hong Kong designers Millimeter Interior has been sunk into the ground. It is enclosed in glass and has a wonderfully futuristic feel. There aren't any rules that say kitchen cabinets have to be totally uniform. 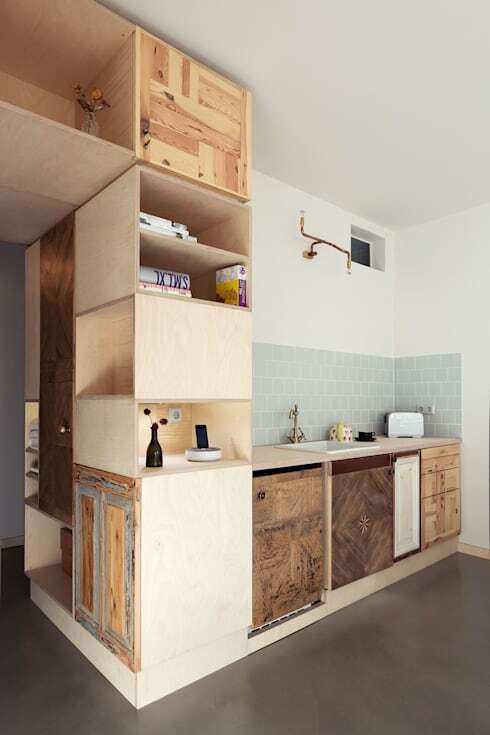 This awesome little kitchen has been created with an eclectic collection of upcycled wood and cabinet doors. 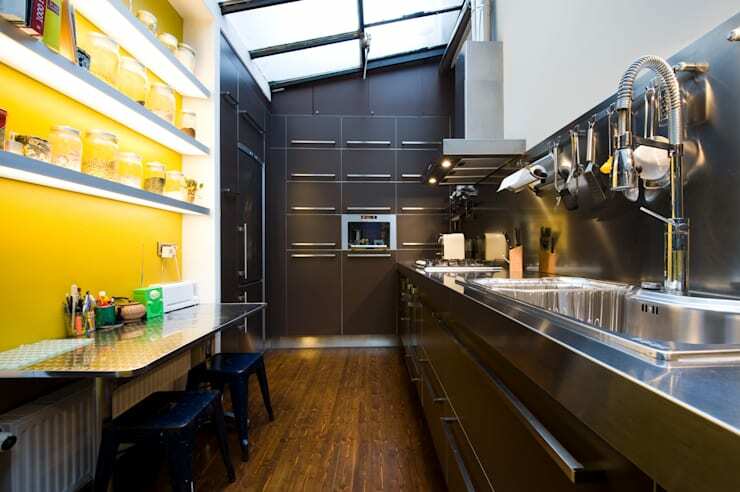 This kitchen has a sliding glass roof light which is definitely more sophisticated than the average skylight. It has been created with a single sleek piece of glass designed for a flat roof. 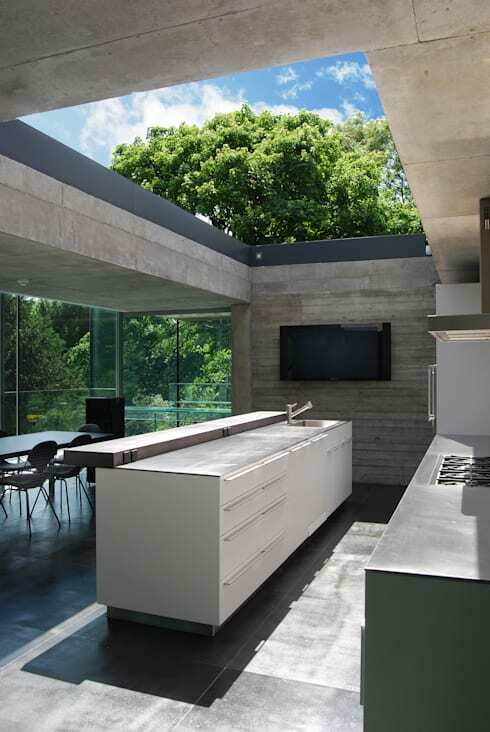 It adds the perfect combination of privacy and outdoor beauty to this kitchen. 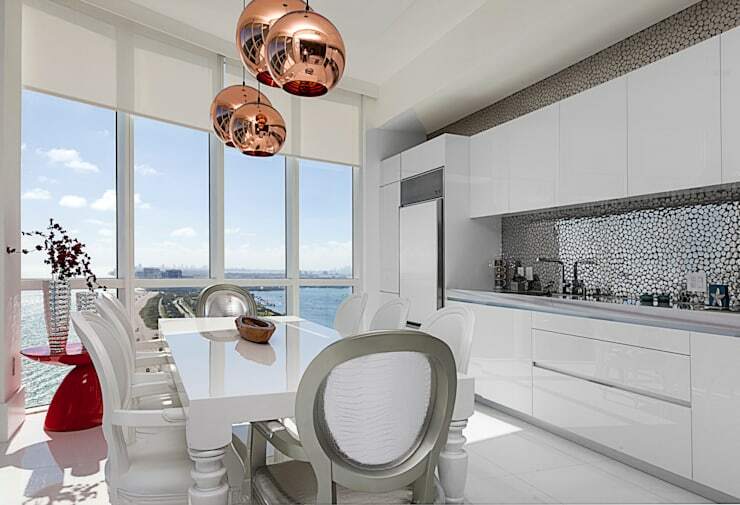 This modern kitchen has glossy finishes and a racy ambience. 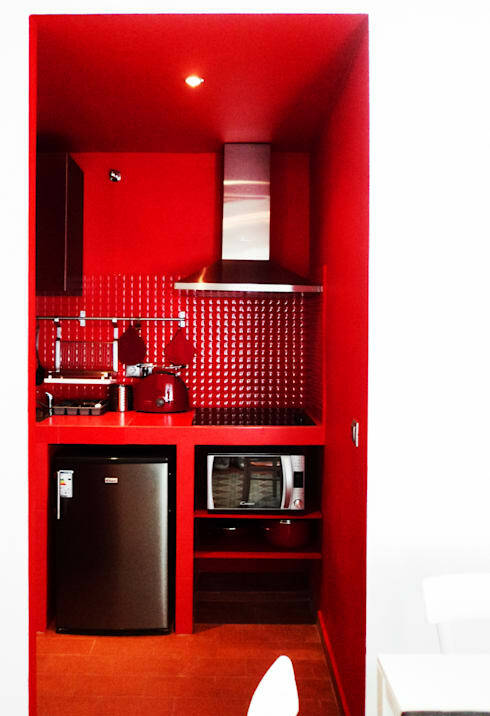 In a time where so many people opt for subtle white kitchen furnishings, this bright red colour scheme is only for the most daring. Metallic decor and furnishings are hugely popular at the moment. Here we have a unique silver kitchen that manages to contain both a silver splashback and bold brass pendant lights. 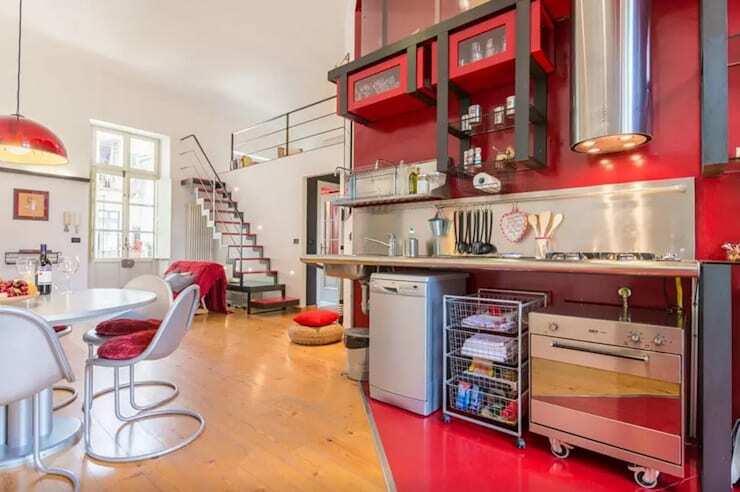 This is certainly a kitchen with individuality! A black kitchen is a daring kitchen. The bold contrasts here add high drama and certainly give a more than a little contemporary spirit to this decor. Unique homes don't always need to be big. 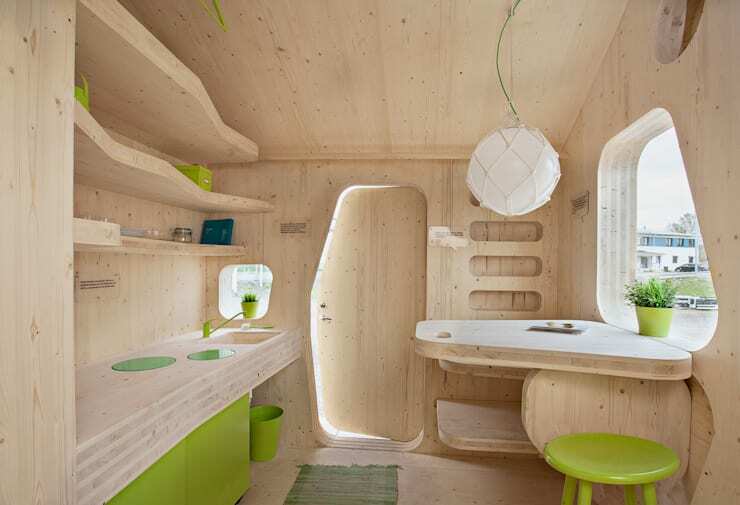 This tiny 10-square metre home has a perfectly usable wooden kitchenette with lots of curves and colour. It was designed for student housing and comes to us courtesy of Tengbom. We love this black kitchen because it manages to be striking without being overly quirky. Quite simply, it's a kitchen we could live with for some time. 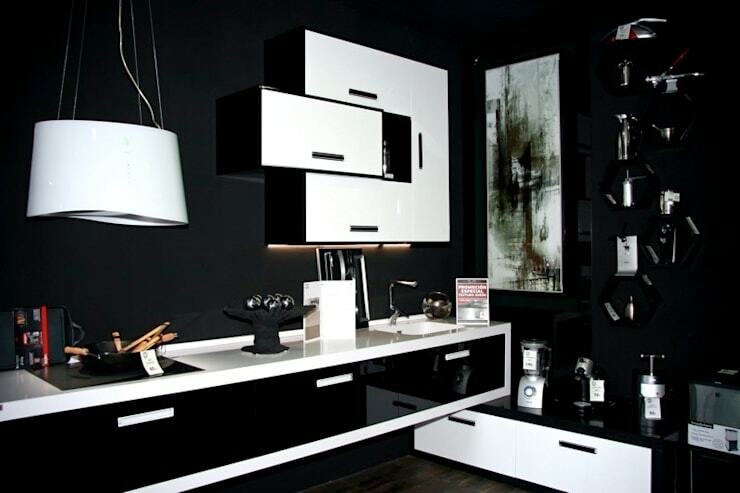 What really makes it special is the contrast between the all black kitchen cabinets and the yellow feature wall. Our final kitchen is yet another example of how a small kitchen can burst with style. The designers here have bravely embarked on a completely monochrome red colour scheme. This tiny kitchen is certainly full of fire! If you'd like to see more of the abode with the sunken silver kitchen we saw earlier, check out The Hong Kong home that has it all. Which of these unusual kitchens is your favourite? Let us know in the comments field below!